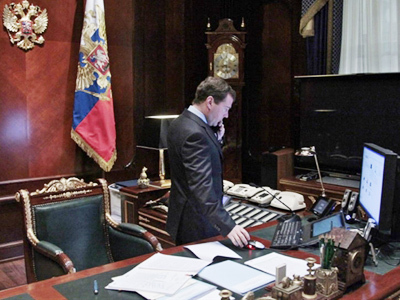 Last Friday the State Duma gave preliminary approval to a new anti-terror warning system. The bill was considered in the wake of the suicide bombing at the country's busiest airport, which left 35 people dead. 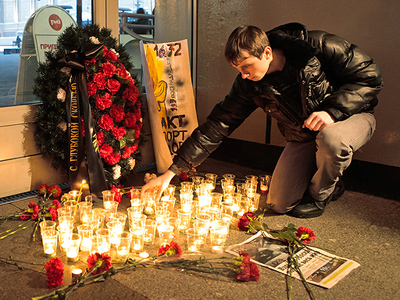 President Dmitry Medvedev harshly criticized law enforcement and airport authorities and several officials have since been over security lapses which led to the tragedy. At this point in Russia there is no unified system of alertness when it comes to the prevention of terrorist attacks. 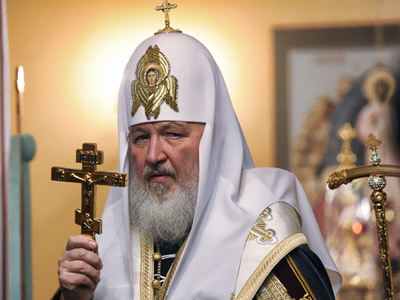 “Just look how badly we needed this system in light of the Domodedovo attack. Now they are trying to find the culprits, and they will find them, and the culprits will be punished. Some have already been punished. But what everyone is saying is that there was no relevant information. And now according to the law, the public will be informed about the threats it is facing,” said Vladimir Vasilyev, head of the State Duma Security Committee. The new draft law was initially proposed in 2007, but has not been implemented to its full extent. After Monday’s blast at Domodedovo Airport, President Medvedev said that the parliamentarians have just a few days to start working on this draft law. The new bill provides new ways to increase awareness about terrorist attacks. That includes color-coding the levels of terrorist danger in Russia, similar to the US system: red will mark critical risk of a terror attack, yellow will denote high terror risk, and blue will stand for increased risk. 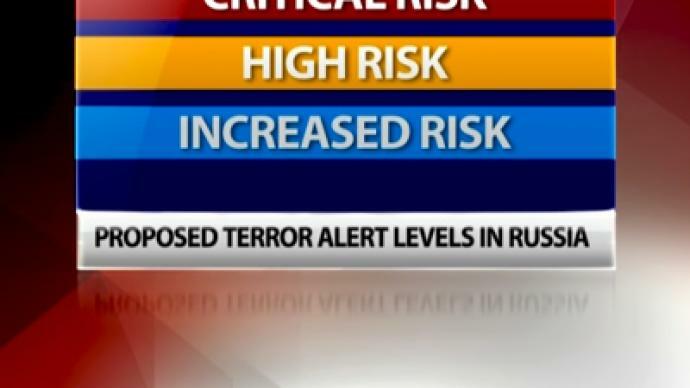 The appropriate level of terror alert will be determined by the president of Russia. Once he announces one of those states of alertness, all the security institutions in the country will have to come together and bring about a course of action. Parliamentarians stressed that the measures which will be taken in the case of a terrorist attack danger will not affect the rights or freedom of citizens. Russia's determination in fighting terrorists has never been questioned, but its methods have. Now it has the system, it must make sure it works. ­For the last week Russia has also been seeking out those responsible for Monday's Moscow suicide bombing and looking into any possible security lapses which may have helped the suicide bomber reach his target. 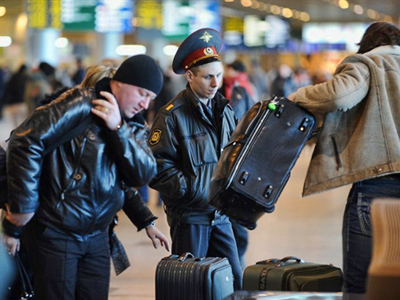 A number of Domodedovo Airport officials have been sacked, while security measures have now been increased. Mandatory metal detectors and baggage X-rays accompany every entrance to the building. This answers one question, but poses another. One of the problems with the new stringent checks is that queues of people build up just inside the entrance presenting exactly the sort of target they are trying to avoid. The situation is such that now around 50 people are packed into a tiny space at the entrance, with queues lasting around ten minutes. 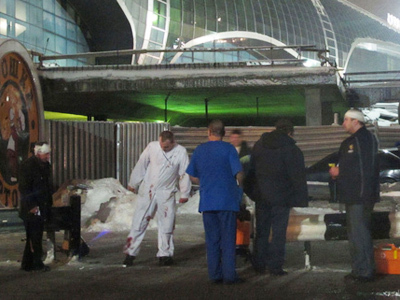 Before the explosion, security at Domodedovo was no different to most other international airports. Only Israel's Ben Gurion Airport is considered to be more secure than any other, with vehicle checkpoints, fingerprint scans and compulsory passenger interviews. But such resource-intensive measures are not possible at larger airports. Domodedovo handled 22 million passengers last year – double Ben Gurion’s volume. ­Dr Richard Bloom, a security expert at Embry-Riddle Aeronautical University, believes that a warning system is vital for homeland security. It has a good record in the countries where it has been introduced, namely the US, France, Australia and other countries. But however sophisticated a system can be, it will never be possible to secure 100 per cent of all public areas, thinks Bloom. “That is why intelligence collection and intelligence analysis is really crucial. One other point about another crucial activity, and that has to do with military, paramilitary and intelligence operations identifying people who are a threat far, far away from the airport and apprehending them way before they have an opportunity to implement a suicide terrorist operation”, says Richard Bloom. ­Stephen Lord, director of Homeland Security and Justice Issues at the U.S. Government's Accountability Office, warns that homeland security is an issue of a triangular shape, the apexes of which are general security, free commerce flow and individual privacy. If a state is moving closer to one of them, you get less of the other two. “It is useful to think of three levels of security. Number one is the technology effective. Number two: do you have regular screening procedures in place? And three: do you have well trained staff? You need all three to have an effective system,” says Stephen Lord. ­Fred Burton, Vice-President of Intelligence at Stratfor (a US centre of analysis dedicated to global affairs), points out that to ensure homeland security, a country should preserve a balance between good intelligence and appropriate technology. “Human failure” is the most frequent reason for catastrophes like the terror attack at the Domodedovo Airport. “It boils down to very good human intelligence on very specific terrorist plots. The problem is, most intelligence services lack that granularity on any specific threat. So you base a lot of your security ramifications on threat assessments, looking at MO [mode of operation], probability and also trying to evaluate intelligence gaps. When you look at this kind of threat, what you don’t know is almost as important as what you do know,” concludes Fred Burton. ­Along with the new bill on threat levels, the Duma has adopted the “Police Law” in its third and final reading. The document will include numerous amendments to the current law on Russia’s police and is aimed at making the performance of the Russian police force more effective. The blast at the Domodedovo Airport arrivals hall came less than a year after two suicide bombers from the North Caucasus struck in Moscow's Metro last March. Thirty-five people died in the latest explosion, while over a hundred remain in hospitals. The investigators have not released any new information on the case, but they have stressed that the media is going into frenzy of speculation, and advised them to wait for official information. The latest speculation in the media and blogosphere is information from an anonymous source stating that the bomb used in the attack was a bag of explosives packed with sharp rocks and pebbles. Apparently such bombs have been popular among Palestinian terrorists. 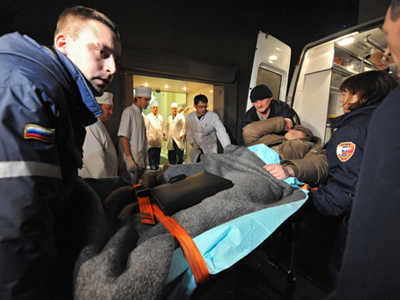 Later that information was contradicted by doctors who took care of the victims, reports Ria Novosti. More then 120 million rubles have been allocated to help those who have been wounded and the relatives of those who died. 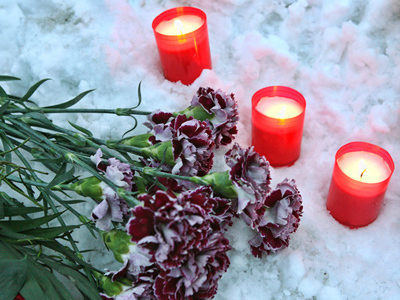 Funerals will be taking place in four different cemeteries in Moscow on Friday. Commemorative events have also taken place this week. A major commemorative meeting took place in the center of Moscow on Thursday. Over 3,000 people showed up at Pushkin Square in order to remember those who died and suffered as a result of the blast. RT spoke to two victims, devout Muslims, who usually pray five times a day, but the Domodedovo blast changed all that. Ever since multiple shrapnel wounds bound them to hospital beds, they have been praying non-stop. They came to the airport to pick up their relative flying in from Tajikistan. He missed the explosion by several minutes and still cannot make sense of what happened. The friends believe that people who did it cannot possibly call themselves Muslims. “A true Muslim should be striving to help others, not killing innocent people. Those who did it will answer for it before Allah,” they said. Yet for many of those whose life was damaged by the blast, the promise of the Almighty’s wrath is not enough. Domodedovo Airport had already experienced a terrorist attack in 2004, when two passenger jets were blown up in mid-air. As some Russians vented their anger with law enforcement for not being able to prevent the attack, others took the initiative into their own hands. Hundreds of volunteers turned up at blood-donating stations. Pavel is a first-time donor, and the explosion really seemed to prick his conscience. “When something like this happened before, I was concerned like everybody else, but I never did anything to help. But this time I thought I had to get involved instead of just bashing our security services in blogs,” Pavel told RT. While the tragedy at the airport prompted many to ask what they can do for their country, improving security is still the main thing that their country can do for them.